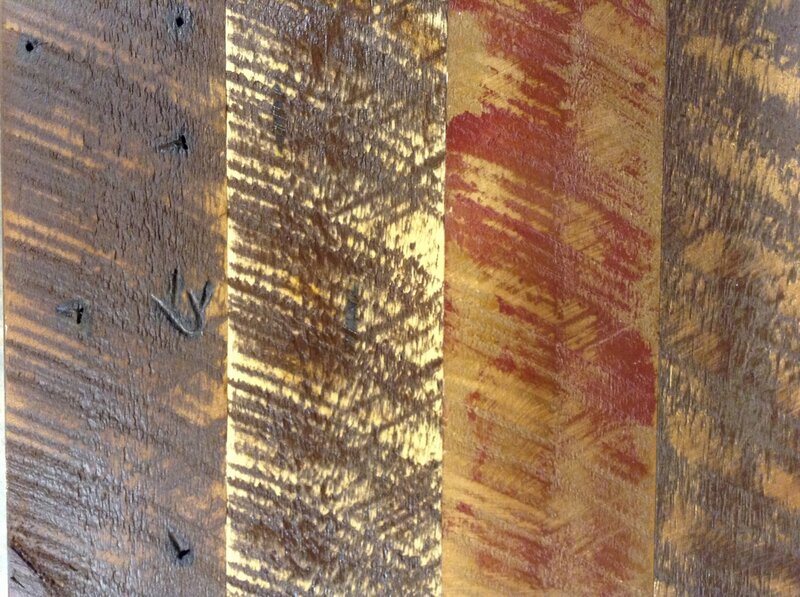 We have finished an expansion of our Rough Sawn Line to include a product for wall or ceiling application. 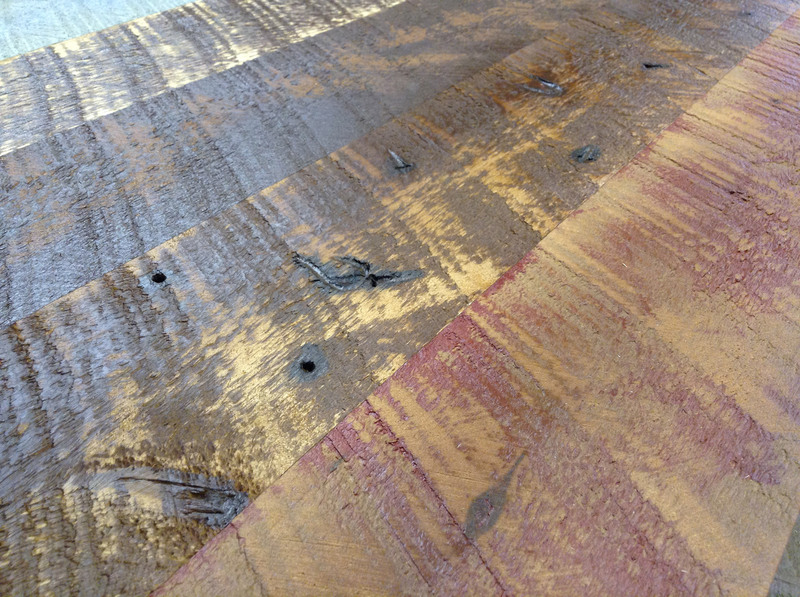 While our flooring can be used on walls or ceilings it is graded to meet the demands associated with the high traffic that flooring must endure. 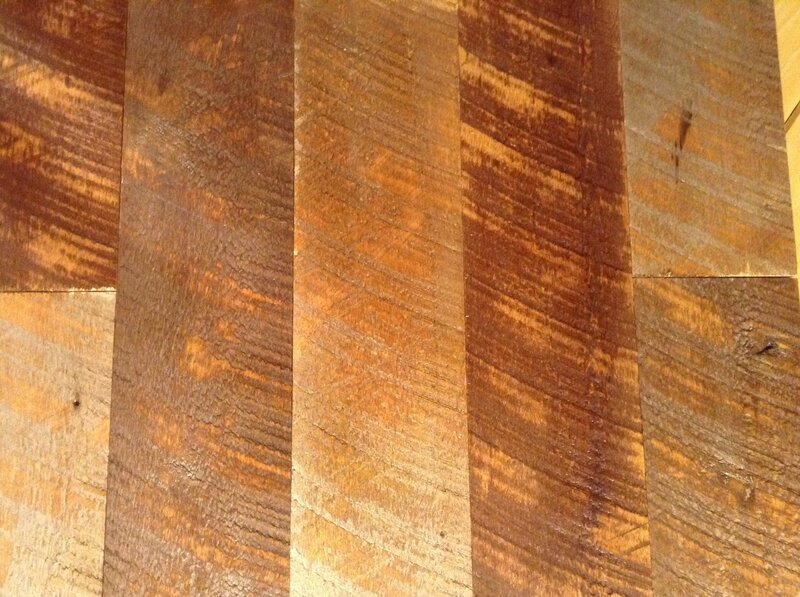 Paneling applications require less demand and and can be graded accordingly, allowing for use of softer woods and even more character. This means we provide the beautiful Circle Sawn look in an even more economical grade. 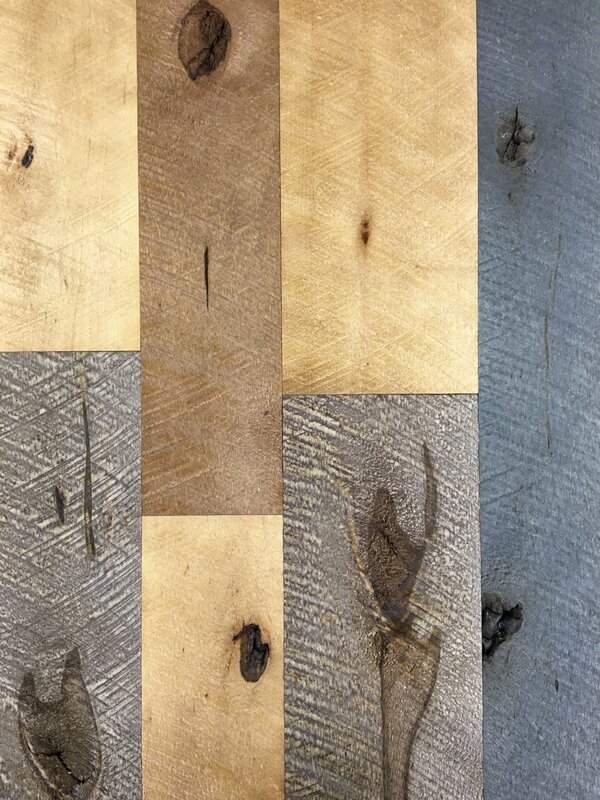 Call it “weathered wood”,”barnwood” or “faux reclaimed” this product will give you a unique, old world look of years ago. Unfinished pricing starts at $2.20 a board foot for Basswood, or we can pre-finish in shades that you choose starting at $3.10 a board foot. 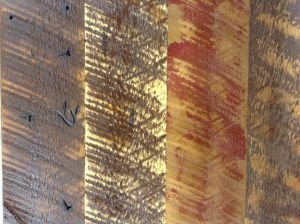 We will work with you to find the shades, color and distressing you want, the pictures below are just the beginning. Let your imagination run wild and we can create it for you!